How High Is "Sky-High" Silver? Now that the precious metals’ five year cyclical bear market is acting like it's been replaced by a vibrant bull run in the opposite direction (up! ), many analysts who chided the ongoing rise in the mining stocks and metals that started in December 2015 are begrudgingly changing their "outlook" so they don't get left behind. Some veterans are holding to long-stated targets, while others are raising them as Mr. Market gives us new information. 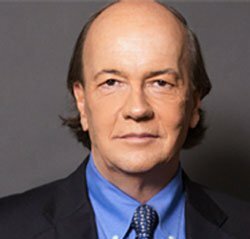 Jim Rickards – the CIA financial warfare advisor recently interviewed on a Money Metals Exchange podcast and whose thoughts I have frequently cited – makes a strong case for $10,000 gold, primarily due to a gold revaluation by the world's central banks. Jim Rickards sees $10,000 gold. You might wonder why, if the price of silver is projected to rise so much, I am dwelling on the price of gold. The reason is the silver-gold ratio which computes at any given time the number of ounces of silver needed to buy an ounce of gold. During the last 50 years, this key ratio has risen from a 1979 low of 14:1, to a January, 1991 high of 100:1. Currently about 67:1, it's still relatively elevated (showing silver is relatively inexpensive) within its historical parameters. Over the years, this key ratio has spent a great deal of time bracketed between 80:1 and 50:1. Considering this data, a $10,000 gold price would put silver priced between $125 - $200 an ounce. At the apex of its last secular bull market in 1980, the silver-gold ratio weighed in at a hefty 14:1. 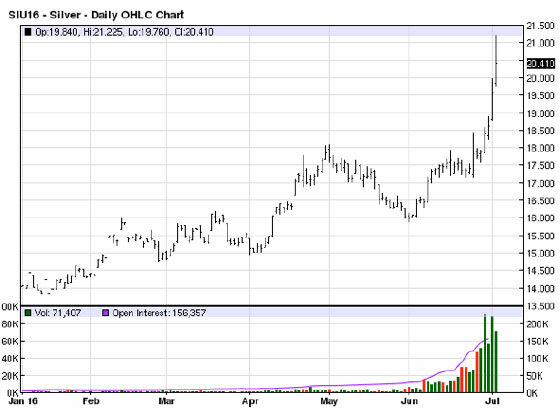 If silver only got down to a 30:1 ratio, this would price our model at over $300/troy ounce. Leaving the ratio aside altogether and simply considering the 1980 inflation-adjusted price by itself would project a silver price today of more than $150 an ounce. If you'd like a real heart-stopper (sit down first), then consider what John Williams at Shadowstats.com has demonstrated, using the government’s long-standing Consumer Price Inflation (CPI) calculation models (which have since been revised several times by the U.S. government to understate inflation). Williams calculates that the value of the "true" CPI-adjusted 1980 silver spike price high today, would be equivalent today to a silver price of... $470/ounce! Recently, First Majestic Silver (NYSE:AG) President Keith Neumeyer, made the following remark: We got approached by an electronics manufacturing company that manufacturers cell phones and computers about four weeks ago... There were three of them in the meeting and they wanted to bid on our silver... It’s the first time in the fourteen years that I’ve been with First Majestic that we’ve ever been contacted by an electronics manufacturer... That tells me there is something changing in the market. Early this summer, Keith Neumeyer said that triple digit silver was in the cards, even if gold stays well below expectations. 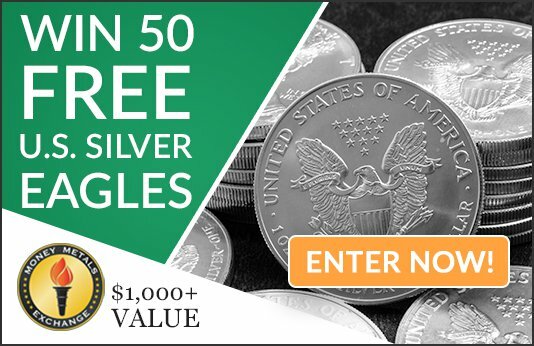 But if gold should go to $10,000, then "silver will be some ridiculous number... it could even be $1,000..."
First Majestic CEO expects triple digit silver prices. Nick Laird: I find it interesting when Keith Neumeyer of First Majestic Silver, one of the largest silver producers, sticks his head out & says $140 silver, at the same time as Pierre Lassonde of Franco Nevada, one of the most successful gold entrepreneurs does the same in calling for $10,000 gold. Which would produce a 71:1 ratio which is a little below where we are today. At the top of the bull run, I would expect a ratio of perhaps 30:1 which means one of them needs to double his number. 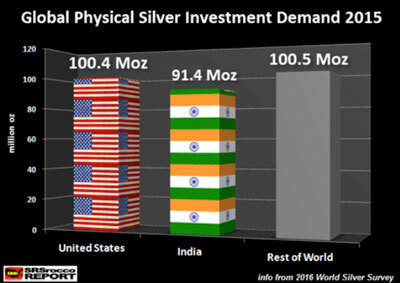 Steve St. Angelo's SRSRoccoReport.com chart below demonstrates how the massive multi-year upswing in American Silver Eagle sales is changing the landscape for investment demand – with a concomitant effect on supply. And keep this factoid in mind: though we don't have a breakout handy for how much of the total demand is destined for other countries, we’ve been that informed that ASE's are sold to at least 50 other countries. If this "foreign" Eagle demand-wave continues to build, sales of the iconic coin could shift into hyper-drive. Holding silver will place you in good company with other Americans! 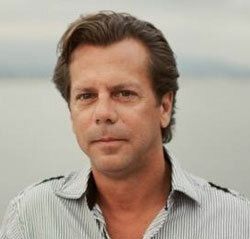 David Morgan (2002) of TheMorganreport.com: For the record, I will state there will be another, more frenzied scramble which will carry silver prices to highs that will repair all the excess paper money creation, price suppression, supply deficit, and bearish sentiment over the past two decades. This will become known as the Great Silver Crisis. And herein lies an important caveat for the rest of us. As precious metals insurance-holders and investors, we are better served by focusing more on the fact that silver is likely to go up a LOT, than by trying to divine by how much. If we're destined to see the very large and sustained up move I expect, then shrewd investors can achieve maximum gains by establishing a "silver stacking" program of regular dollar cost averaging, without paying too much attention to either the current price, or some distant projection. Leave the day-to-day predictions to the swing traders and crystal ball gazers, while methodically adding to your physical position. It's a nice way to tame those pesky fear and greed investment dragons. Not to mention building over time, a good-sized pile of silver with the potential for gains that might just exceed your wildest imagination. Steve St. Angelo's chart above shows that Americans in greater numbers than ever are getting involved with the "silver story" by exchanging some of their paper promises for real, hold in your hand money: silver. If you're new the topic, now's a great time to get started. And if you're already a stacker...well then just keep on keepin' on!